"...just enough to conduct yourself in basic interactions." Berlitz German Premier claims to be able to have you speaking German in just 30 days. A bold claim, but does it deliver on its promise? In this review I will seek to answer that question, as well as explain all of the other features that this language learning suite offers. You will find out what I liked about this product and who I think will get the most value from German Premier. I will also tell you about the things that I didn't like about this software. Make sure that you read through these carefully, before making your buying decision. Finally I gave a overall recommendation as to whether you should purchase Berlitz German Premier or avoid it. Software - There is both a Windows and McIntosh version available of the software. The software has four distinct parts; audio learning, multimedia learning, flash cards and speech analysis. Audio CDs - This is composed of 4 audio CDs that you can use to practice your German in your car. iPod - The iPod lessons use both audio and pictures, to help reinforce your learning. They also integrate with the software, providing you with word lists that you need to practice. The iPod lessons are great for practicing at the gym, while you jog / walk or doing chores. The boxed version is available for $39.95. This includes a 6 month money back guarantee, which allows you to return it if you are unsatisfied with product. The instructions for doing this are included in the box. Uses a Proven System - Berlitz has been teaching languages for over 130 years and over that time they have developed a system that works. There is nothing revolutionary about the Berlitz German language software but if you use it consistently, then it will deliver results. The software improves all areas of language learning including reading, writing, vocabulary and grammar. Practice Conversation - Berlitz Premier allows you to listen to video conversations with native German speakers. This dialog can be paused and slowed down, so that you can clearly hear each syllable clearly. The voice recognition software then allows you to hold a conversation with the computer characters. While the speech recognition could be improved, it is still a very useful feature and serves as a good guide for your progress. Value for Money - If you are looking for value for money, then Berlitz German is the product for you. At $40 it contains almost as many features as language programs, such as Rosetta Stone, which retail for several hundred dollars. It is certainly better than any other language learning software at this price. Effective Flash Card System - The flash card system that comes with the software is very effective in helping to improve your knowledge of vocabulary and pronunciation. The flash cards use native speakers to annunciate each of the words on the cards. You can even slow the voice down, so that you can hear each of the syllables more distinctly. The 6 Month Guarantee - Berlitz offers an excellent six month guarantee for this product. If you are unsatisfied with the product returning it for a full refund is very straightforward. This makes it virtually risk free to try out Berlitz German and see if it is the right language course for you. Variety of Learning Modes - The German Premier package comes with three different learning modes. In particular the iPod and audio CDs are very useful for people who are busy and don't have a lot of time to set aside for study. The word list functions, which allows you to practice words you are having difficulty with on your iPod, compliments nicely the lessons on the software program. Games Aren't Very Interesting - Berlitz German does come with a good range of games including puzzles and "fill in the gap" type games, and using them is effective. The problem is that they aren't particularly creative or fun to play. If you are looking for entertainment, then these games will disappoint. Suited For Beginners - This course is primarily focused on the beginner or low intermediate learner. By using this course, you will learn enough to get by in Germany, but you shouldn't expect to achieve fluency. 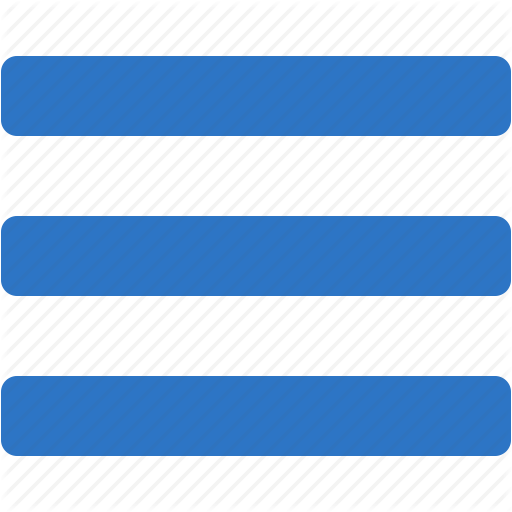 This is not a suitable course for advanced learners. Speech Analysis Needs Improving - The speech analysis aspect of the software is a nice idea, but it sometimes fails to live up to expectations. Obscure Word Choices - As I mentioned before, the flash cards are a very useful feature of the Berlitz language learning program. The only problem is that it sometimes tests some fairly obscure words, that a beginner is unlikely to need. Not Ideal For Written German - The Berlitz language course is well suited for tourists and business travelers to Germany, who want to be able to speak the language. However if you are looking to learn how to write German, then this course will be less useful. So to answer the original question, can Berlitz German Premier help you to speak German in 30 days? The answer is a qualified yes. If you use this software consistently over that period of time, you will have enough spoken German to conduct yourself in basic interactions, at the end of 30 days. In terms of value however, Rocket German is the better choice and offers much more even though its price is higher. To give a quick comparison Rocket German Premium costs $299 and Rosetta German retails for $379. 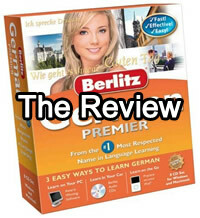 Berlitz German Premier is much cheaper than those, but doesn't contain all of the same features. Berlitz German does have its limitations. It is not going to transform you into an advanced, fluent German speaker and it is not strong on written university level German. But if you are looking for a language software package that will get you ready for travel, business or just personal interest, then it is not a bad choice. Overall great value, comprehensive and delivers what it promises.